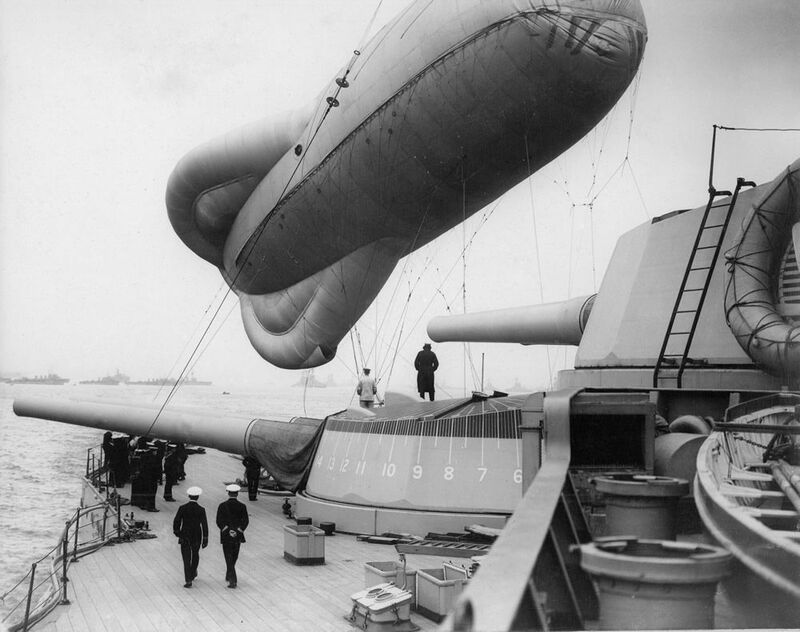 Observation balloon attached with ropes to the quarterdeck of the battleship HMS Queen Elizabeth (launched 1913), taken circa 1915. This Observation Balloon Attached to HMS Queen Elizabeth Art Print is created using state of the art, industry leading Digital printers. The result - a stunning reproduction at an affordable price.